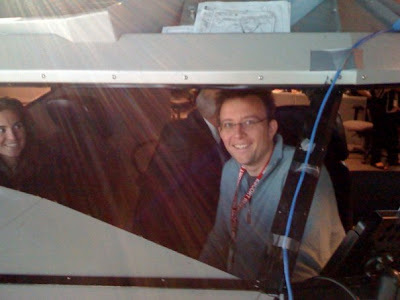 Heather and I sit in a jumbo jet flight simulator at MIT's research and engineering lab. Special thanks to our friend and adviser Tom Berry. Check out his blog about gliding in upstate New York "sink happens"